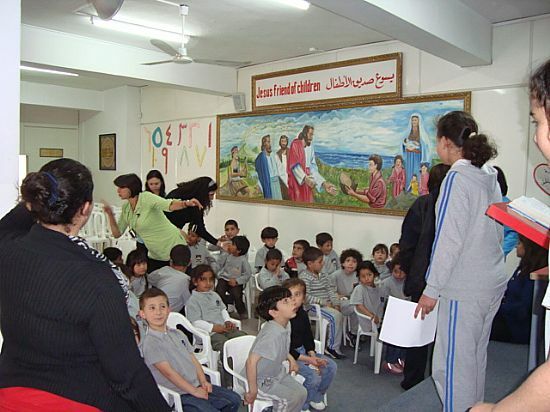 Hope Christian Trust Gallery - Activities and Ministries in which the Trust is involved. Giving to any of these Ministries can be done through The Hope Christian Trust. For more detailed information of these activities either contact the Trust direct or see our LINKS PAGE. 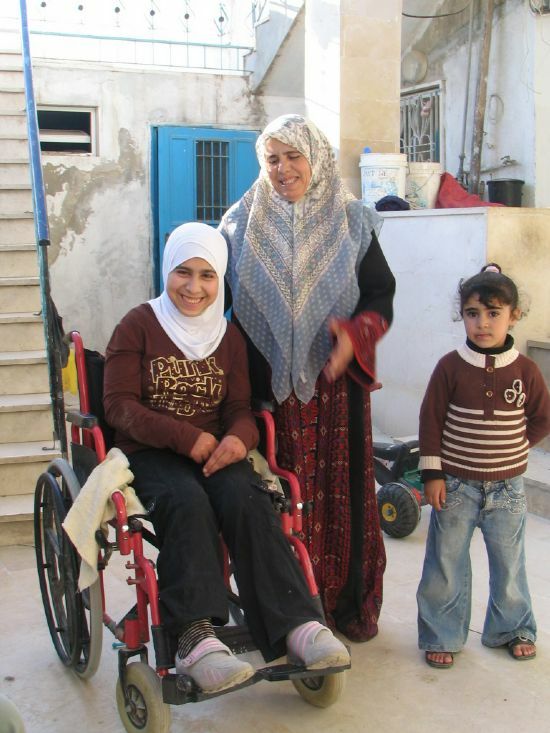 Muna has cerebral palsy but is a very bright girl and she hopes to become a computer teacher. She needs the wheel chair to get to school and to move around her school. All her lessons have been planned on the ground floor. 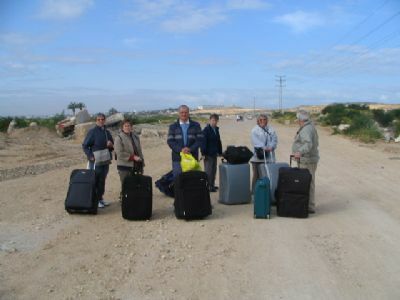 The Palestinian Bible Society are supporting several families in villages south of Hebron. The Trust initiated the funding support to enable the children in the Hearing Impaired Unit to have special hearing aids and for teachers to have transmitters so giving a massive boost to the education of these children. It was expensive but the changes in the children's learning and happiness has been immense and very worthwhile. 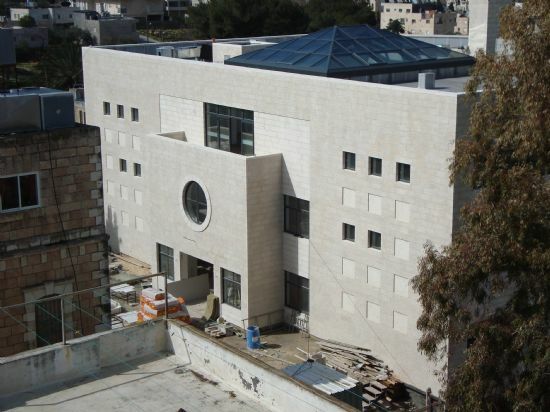 The building was formally opened as the Bishara Awad Centre in June 2012.Students train here for future Ministry.The College also provides other training to enable students to enter the workplace.See our Bethlehem Bible College page for full details. Children at the school receive lunch daily as well as a good education. Families in need are supported too. 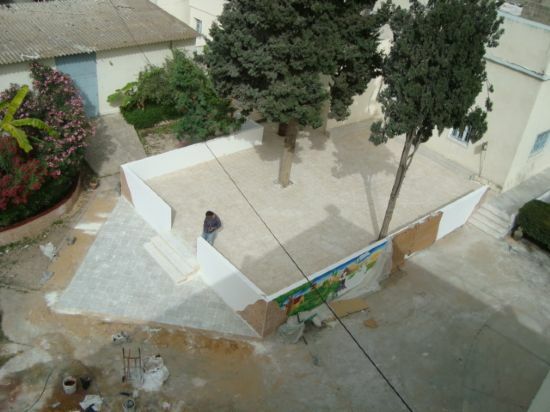 Welfare and education combine in all round support for some of Gaza's neediest children.The Trust has redoubled its support for the School after the horrific bombardment endured during the 2014 war. 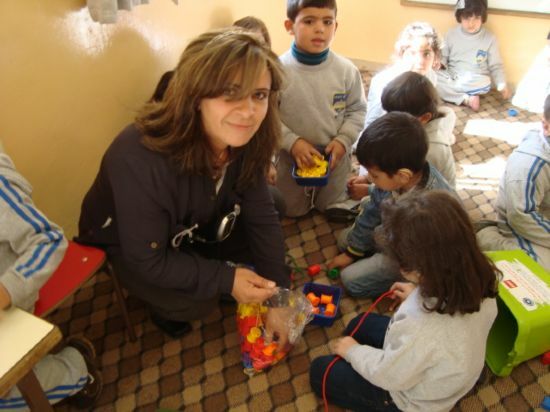 Sue Barton who helped to establish the new Kindergarten at the Lighthouse School in Gaza sadly died in May 2010. A fund was established in her memory and now a beautiful new play area has been built for the young children.The Trust has provided funding to repair damage caused by the recent fighting. Hebron School has an excellent Kindergarten and caters for children with special needs in their "hearing unit".The Trust funded the equipment for this and supports financially a "special needs" assistant. Children love to greet and meet visitors. 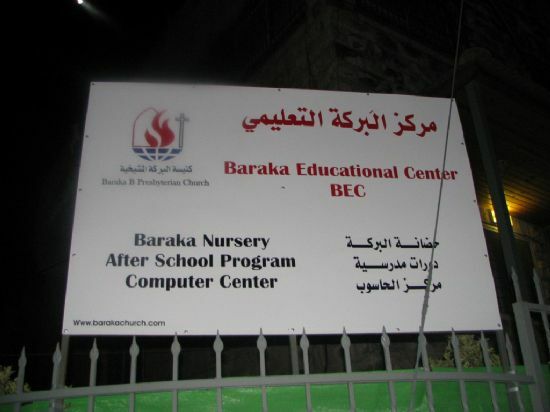 Praise the Lord that the school is slowly getting back to normal after the 2014 conflict.The Trust has funded much of the repair work to the building,which was damaged during the fighting. 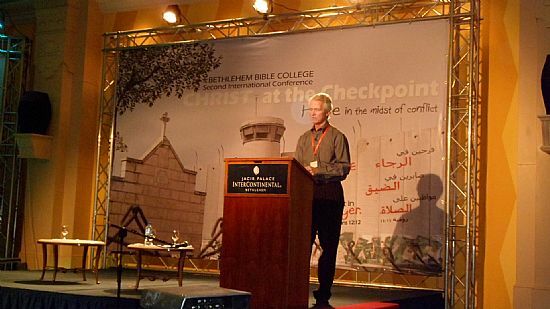 The above conference is held every 2 years at Bethlehem Bible College.See our "Christ at the Checkpoint 2018" link on our LINKS page for news of last years conference. 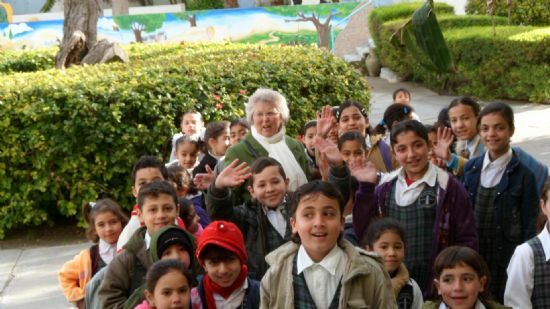 The House of Hope in Bethlehem has been caring for children for over 50 years. 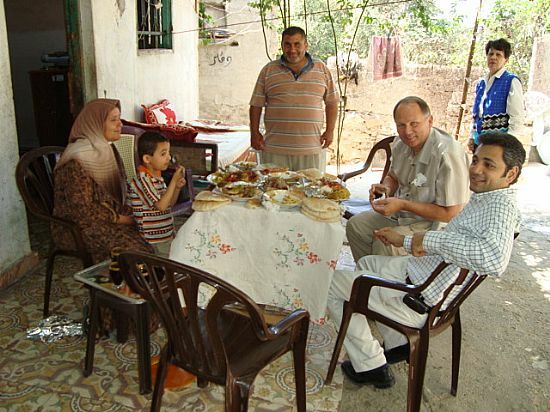 One of the Trustees met Ahmed (centre standing) and his family in a Gaza Refugee Camp. He was still singing choruses and talking about Jesus. He left the Home 25 years ago and had'nt met a Christian since! 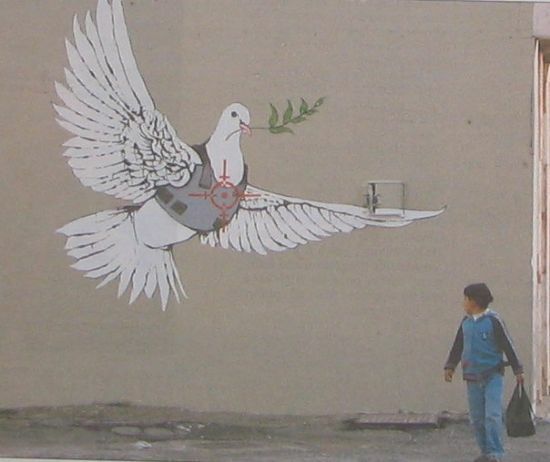 There are many organisations working for peace in the Holy Land and seeking to bring reconciliation and justice. Pray for Musalaha, the Holy Land Trust, Sabeel, the Amos Trust and many others. 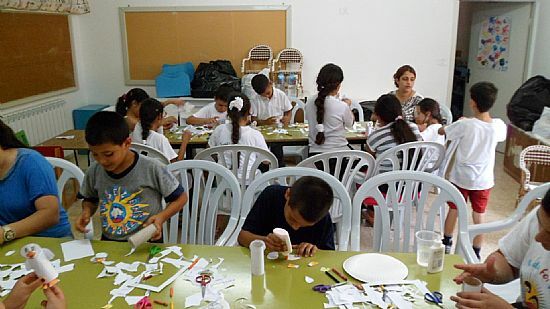 Children in Abud do craft work in their summer Bible Camp in the Church of God School during their summer holidays. The Trust gives a donation annually to support this programme. 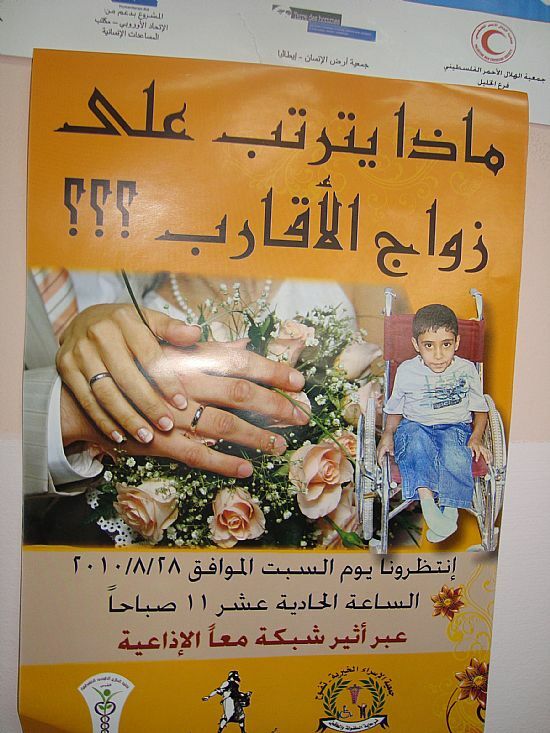 Part of supporting the many young people with disability in very rural West Bank villages is teaching the communities about intermarriage. Arab Christian medics have a poster campaign and talk with local sheiks. Teacher training at the Lighthouse School. Trustees spend a time in the Lighthouse School supporting the staff and giving teacher training particularly in the Kindergarten section. It is much appreciated. 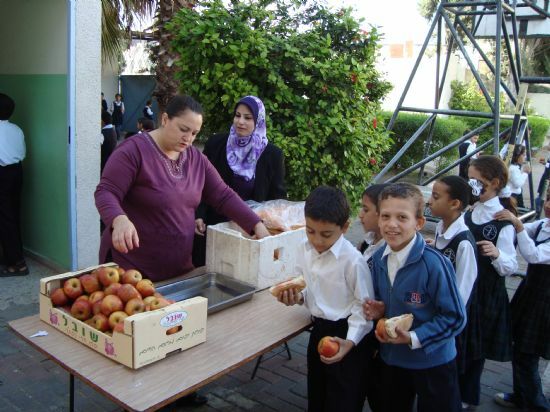 Trustees take medical and educational supplies into Gaza for the Lighthouse School.